After a wave of public outcry and a petition that gained over 45,000 signatures, Singapore Airlines, the world's seventh largest airline company, has announced that it will no longer ship shark fins. I am following up today to let you know that SIA Cargo has been carrying out a thorough review, taking into account the increasing concerns around the world related to shark finning. With effect from August 1, it will no longer accept the carriage of shark fin. @alexhofford Hi there, following a thorough review, SIA Cargo will no longer accept the carriage of #sharkfin, with effect from 1 Aug 2014. "The Singapore Airlines shark fin cargo ban is obviously great news as Singapore is a regional hub for shark fin. Not only is the city one of the world's top five shark fin importing countries, but it's also one of the world's top five exporting countries too. So we do expect Singapore Airlines fabulous announcement today to send shock waves throughout the dirty shark fin industry in South East Asia. 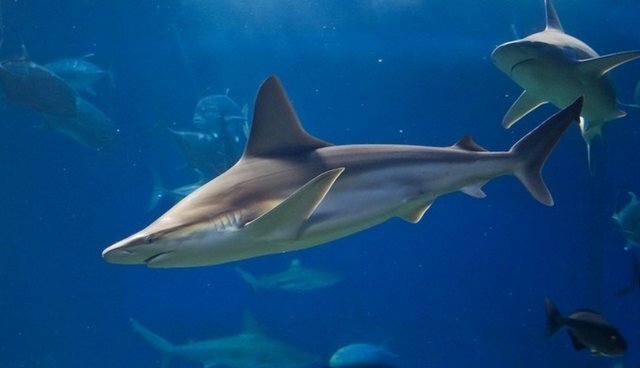 And most significantly, the Singapore Airlines shark fin ban removes one more link from the supply chain of shark fin to the world's shark fin capital, Hong Kong." "We ask our friends and colleagues in the animal rights movement to sign a lot of petitions and we are very aware of compassion fatigue, the feeling that a person can care only so much - but this victory is another sweet reminder that we all can make a difference with the smallest of gestures, taking the time to sign an online petition. Bonded together we can be a powerful voice for the voiceless." The company is the second to drop shark fin of late -- a large Middle Eastern carrier out of Abu Dhabi called Etihad went shark-free last week (and also stopped shipping live primates for lab research, too). 21 airlines have now announced that they are going shark fin-free. Hofford noted that Thai Airways, which still ships fins, is the next target. Shark finning, the practice of removing a shark's fin and throwing it back into the water, kills around 26 to 73 million sharks annually. Join us in pledging never to consume shark products like shark fin soup, and encourage countries to implement full bans on shark finning.